Given the success of SMS marketing in numerous business activities, it perhaps comes as no surprise that hair salons are also turning towards this medium. Over the years, business managers have adopted various marketing methods but none as effective as this. This new wave of communication has given complete power and control to marketers. They can now deliver personalized messages to customers and get their attention instantly. Let’s look at how hair salons are effectively using text message marketing to get their message across. 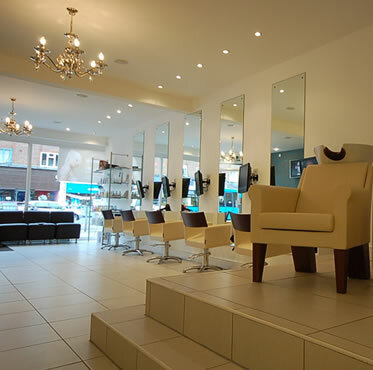 The first benefit that salons get from SMS marketing is instant communication. Now, they don’t need to call up customers or send e-mails for appointments and confirmations. A simple text message does the job. If the client doesn’t show up for his appointment, then the salon will end up losing money. This text message marketing system ensures that clients are regularly updated and notified about their appointments. Another great benefit of SMS marketing is providing notifications to customers. Salons can deliver all sorts of notifications from upcoming offers to special discounts on treatments. Any information that is newsworthy can be transmitted through text message marketing. This platform gives you total advertising value without the actual cost of an advertising campaign. Business is all about building relationships. Good customer relations are essential to the success of any business. SMS marketing is a tool that allows you to get closer to the customers. Hair salons can use this service to give personalized tips to customers and offer special packages. Text message marketing is directly linked to revenue growth. It brings in customers, who in turn increase sales and as a result, your revenues rise. You can inform customers about the latest products you have available at your salon and lure them in. Some salons also offer incentives for forwarding messages to others as recommendations. Text messaging can help you get more customers and keep them happy as well. In today’s modern day and age, it is imperative that you keep up to date with the best communication tools. Text messaging gives you numerous benefits and it can lead your business to success. Marketing is a crucial aspect of a hair salon business, and through messaging, you can gain the upper hand in a competitive marketplace. A good marketing strategy will help you establish, manage, and sustain your hair salon business over the long term.